Please show us some love by liking us on Facebook! Together they design, create, and package all of their toys from their home. Each and every toy is handcrafted and made of FSC certified organic wood. There is no stain, dye, or paint used on any of their products, it is all 100 % natural wood! Are you in love with them yet... Because I am!! 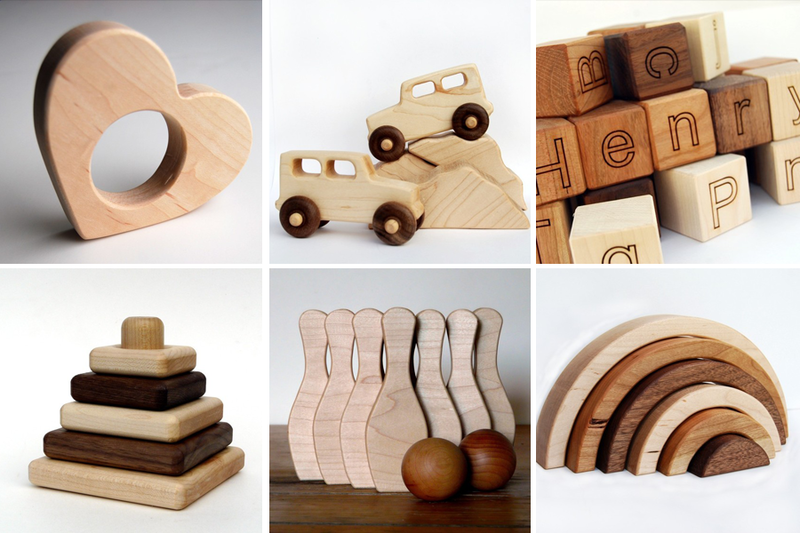 They have a wide variety of wooden teethers, blocks, and toys that are great for both child development and fine tuning motor skills. Its really a wonderful little shop... so click on this and check it out!